Set Up: 30x40 yard with two teams of 6 players each. 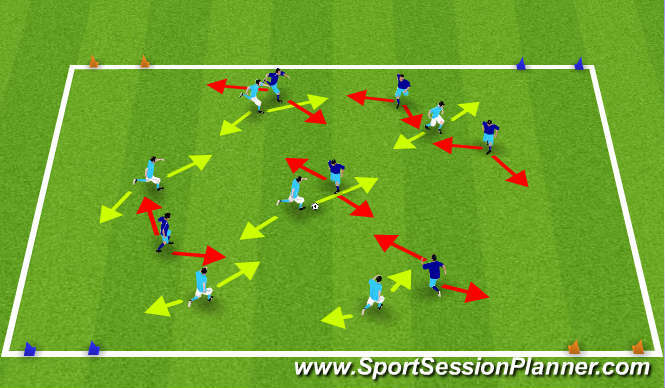 Activity: One team attacks diagonal BLUE goals, and the other teams attacks diagonal ORANGE goals. Defend opposite colored goals. Coaching Points: Transition and shifting on offense or defense, opening up the field by switching the point of attack, not forcing ball towards one direction, communication/organization on defense.